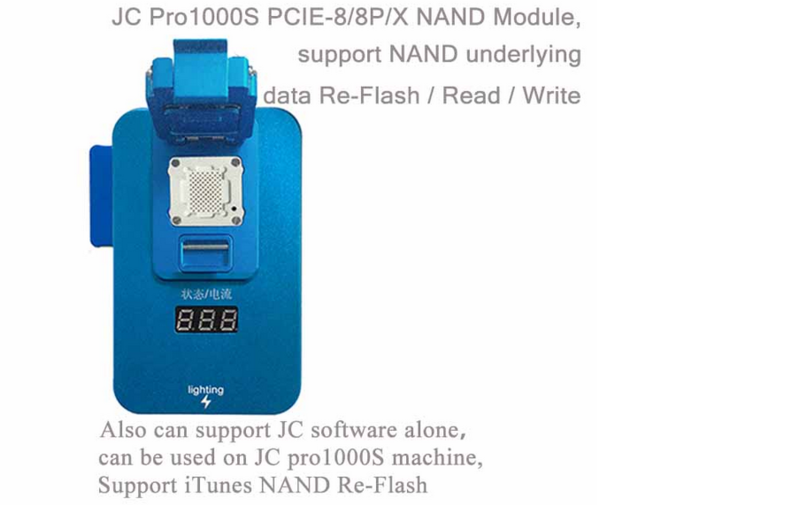 JC Pro1000 Baseband CHIP Programmer Logic/Baseband IC Chip reading/writing repair, Battery Tester and data Cablerecognition/detection. 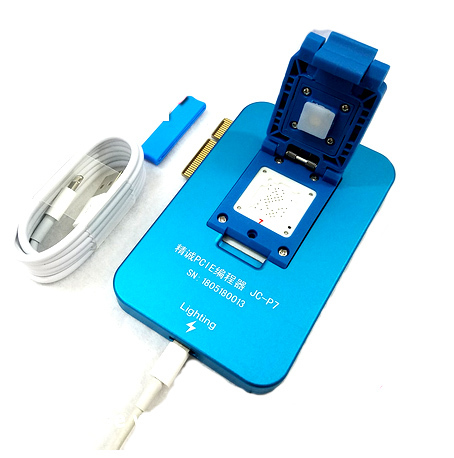 Pro1000 Multi-function Programmer also support fingerprint reading/re-writing and 32/64 bit PCIE Nand Flash underlying data reading/writing for iphone. Note: Optional Models need work with Pro1000 host, it can't work separatly! 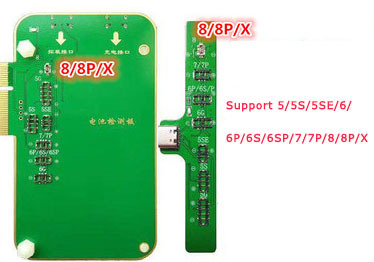 Pro1000 programmer support thousands of spi flash and eeprom chip reading/Re-writing, just upgrade the module. 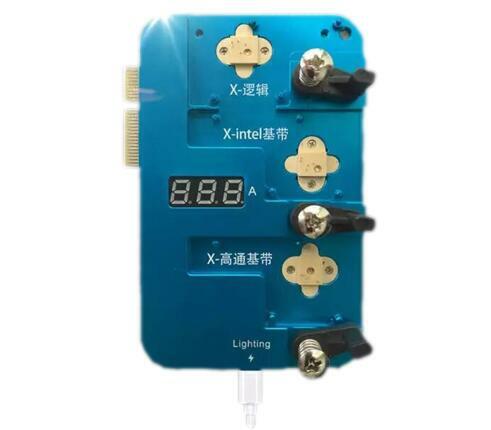 JC pro1000S Battery Tester For iPhone 4 4S 5 5S SE 6 6P 6S 6P 7 7P 8 8P X. iphone 5/5S/5SE/6/6P/6S/6SP/7/7P/8/8P/X battery Detection Module work with JC Pro1000S programmer. 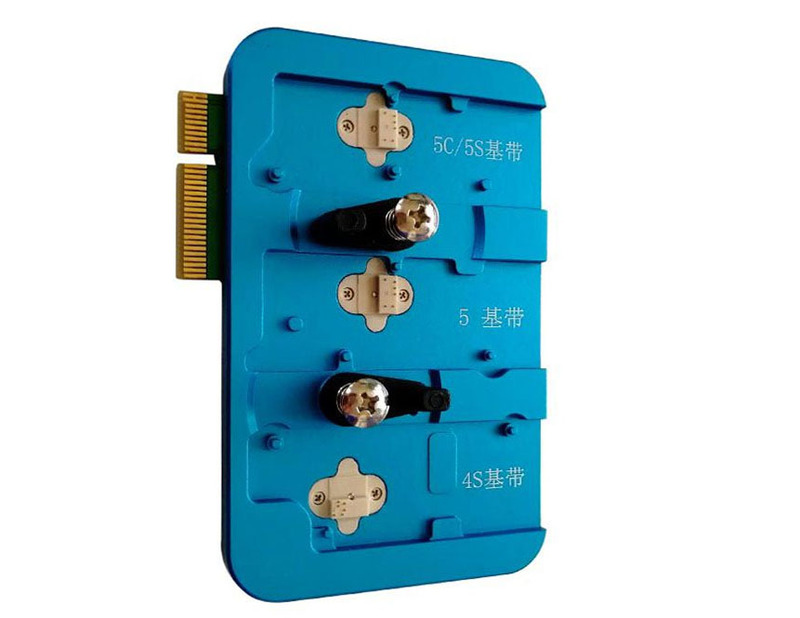 which function is check Battery Life, Battery Health, Capacity, Discharge Rate, Cycle Count. 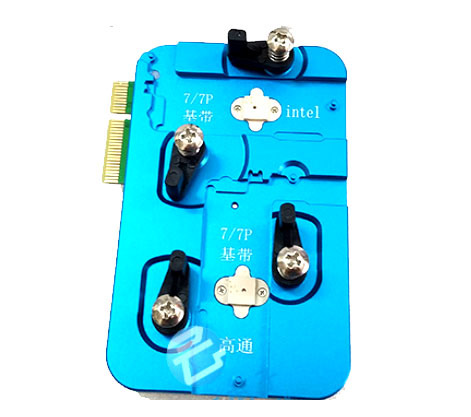 Support changing battery serial number, factory number and cycle number. Step 3: Put the new battery you purchased on the instrument. 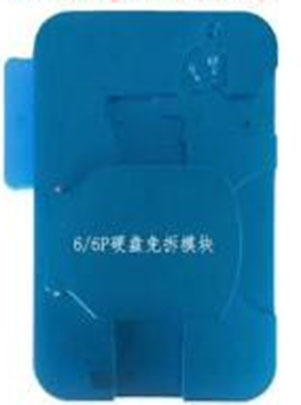 Click “Write” to copy the disassembled battery information to the new battery. 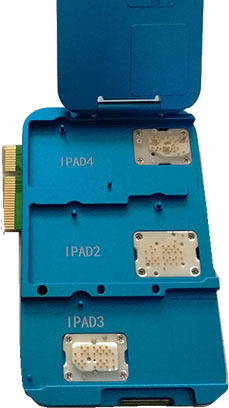 1. independent programming, Using data cable connect to Computer to operate.